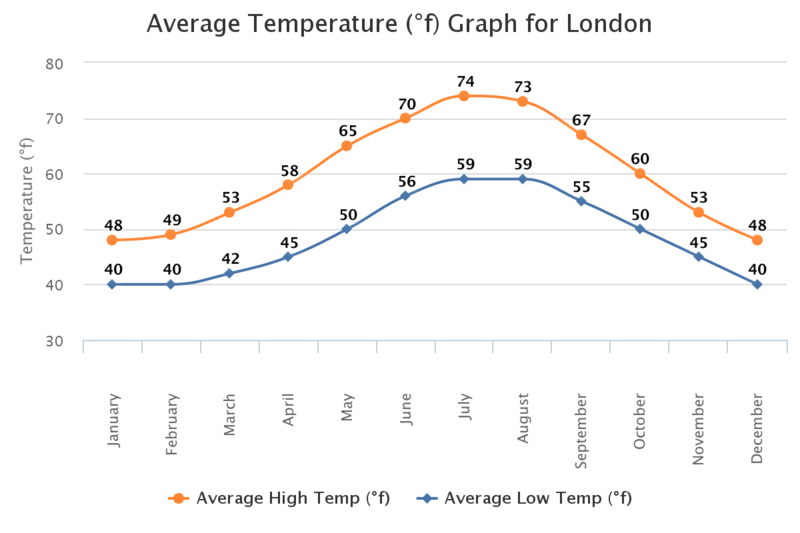 Spring is the perfect time to visit England for those who can’t bear temperatures over 75 degrees fahrenheit. There are less tourists crowds, plus hotel and airfare prices are still decently priced. It is when we can still expect bouts of cold days. 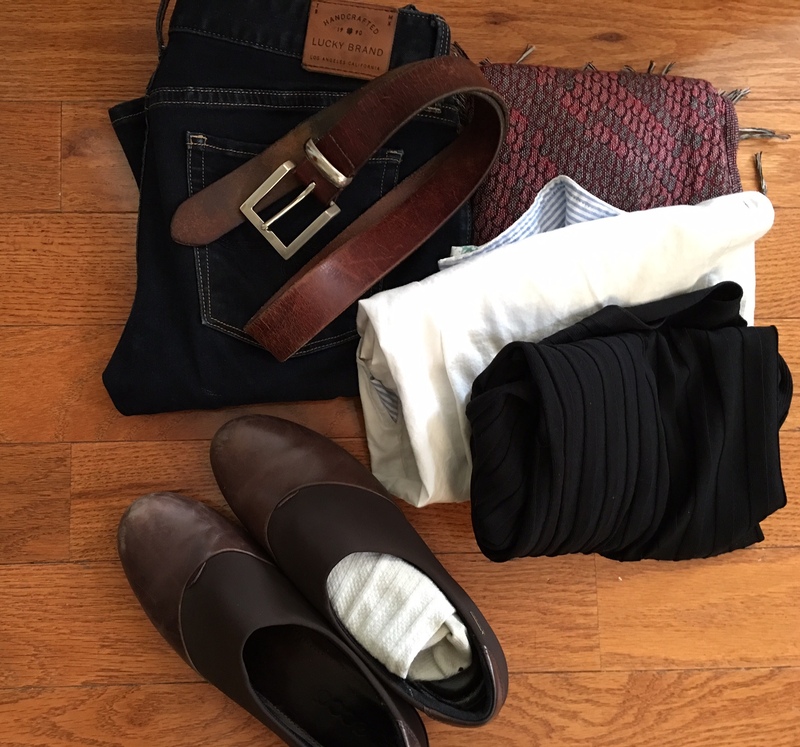 The weather can be unpredictable making it rather difficult to decide what to pack when traveling to England in spring. 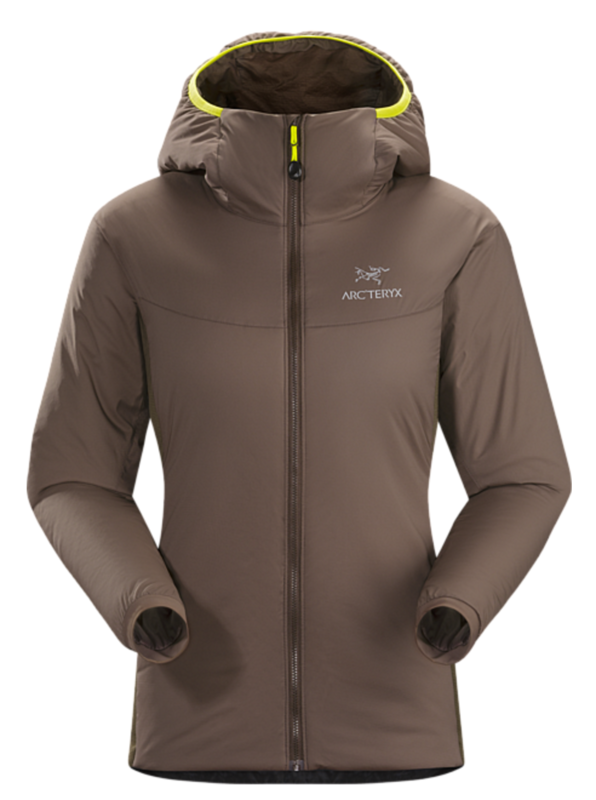 If you are having problems deciding what to wear, don’t worry, we’ve got you covered. Prior to visiting England, it’s important to know what the weather will be like when you arrive. 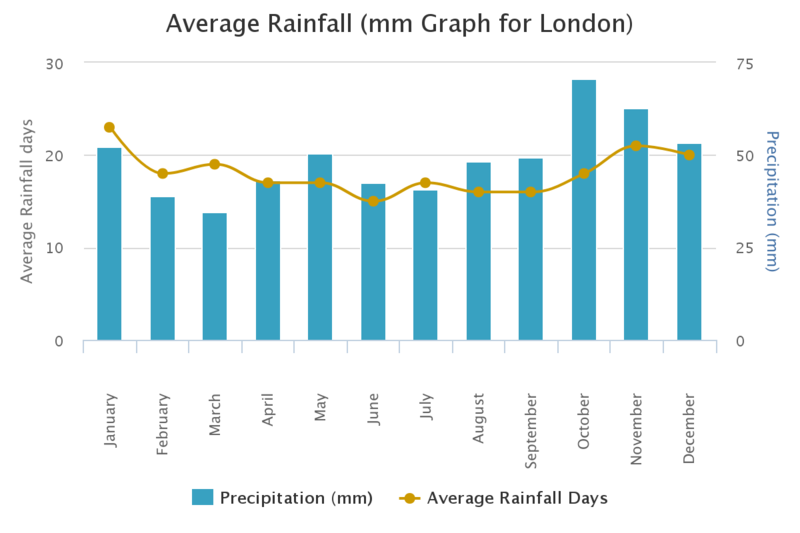 We’ve included a few charts depicting London’s average temperature and rainfall by month. 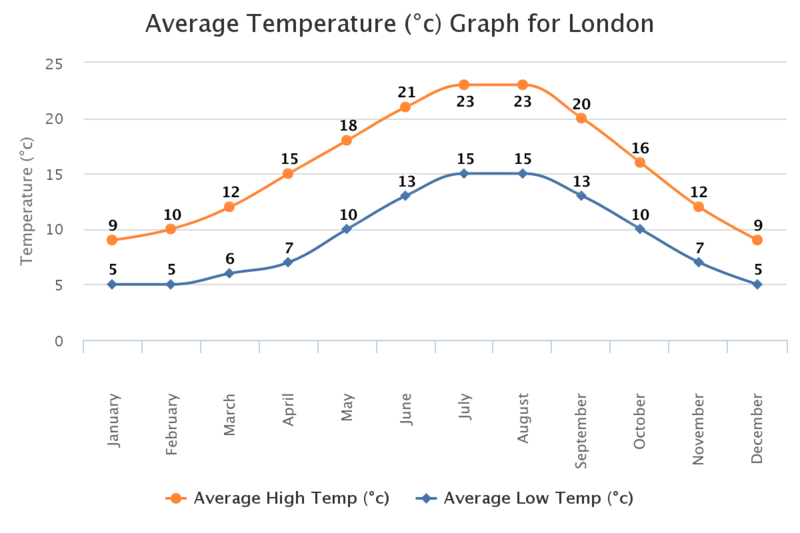 The temperature in London ranges from the mid 70s ºF in the summer to a little above freezing in the winter. In spring and fall, temperatures are moderate, hovering around the 50s ºF and 60s ºF. Click here to view the Celsius version. London is known for it’s rain and cloudy days. 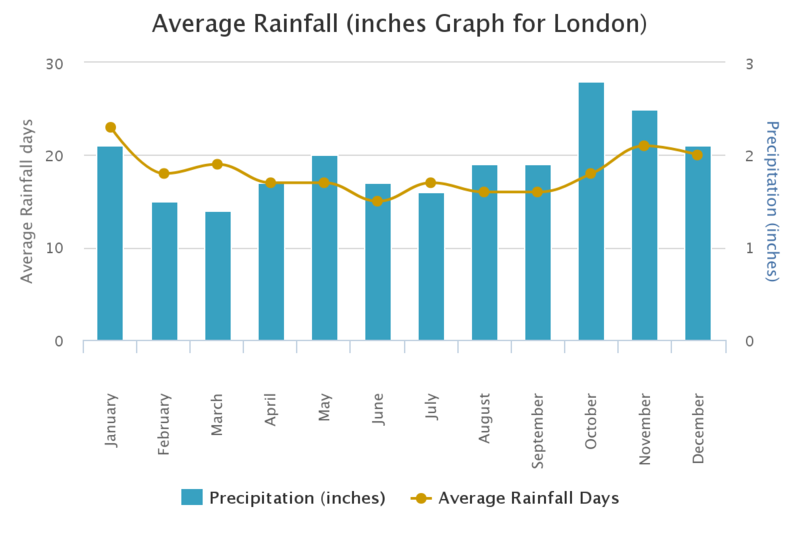 The chart below depicts the average amount of rain in London. It rains on around 20 days in any given month. 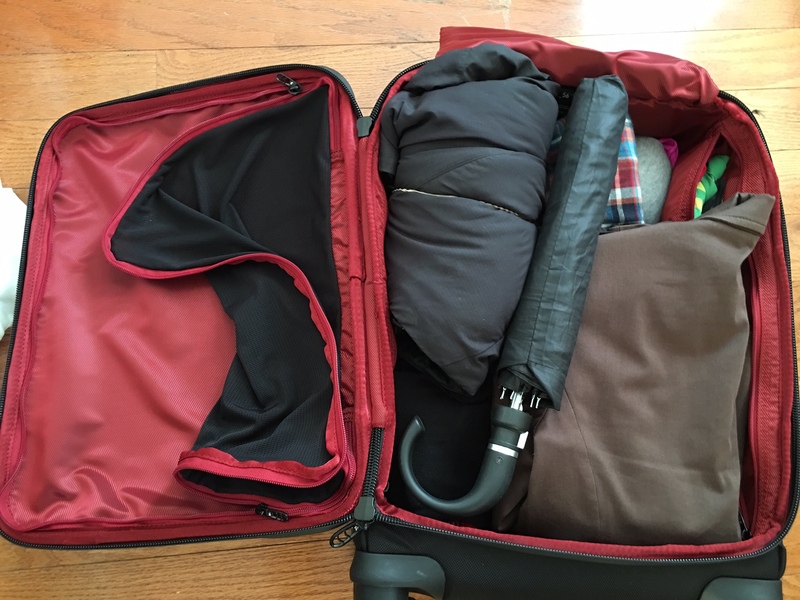 Regardless of what month you’re traveling, remember to bring an umbrella or a raincoat. Note: This list works for Fall too. 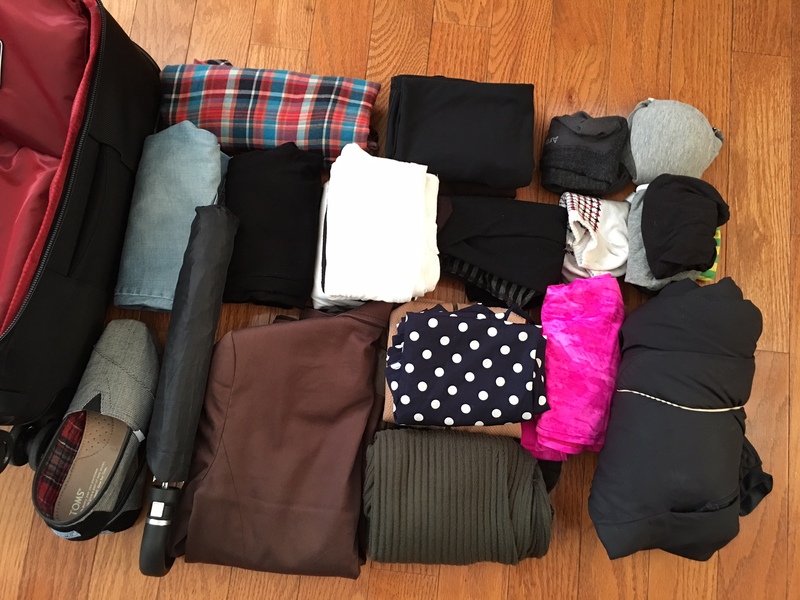 Think layering when traveling to England in all seasons, and especially in spring. Cardigan -maybe you would like to wear the dress jacket instead of cardigan. If so pack the cardigan instead of dress jacket. Bluetooth keyboard – I’m traveling with 2 iPhones, an iPhone 6s Plus and an iPhone 4s. Instead of bringing my MacBook Pro, I traveled with a Bluetooth keyboard which I used with my iPhone 6s Plus. The wireless keyboard and iPhone 6s combination worked really well and I used the Pages app to do some writing. You might want to consider using a Bluetooth keyboard with your smartphone instead of going through the hassle of bringing a laptop. 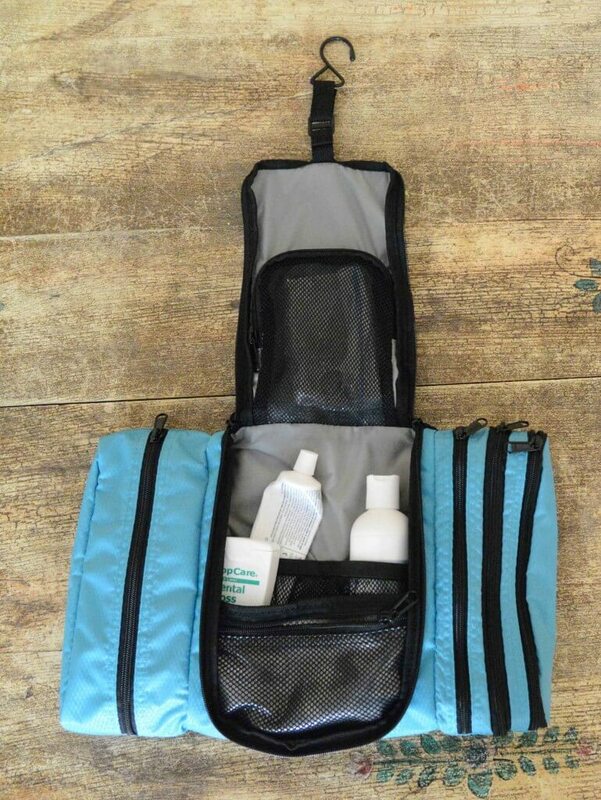 If you don’t mind traveling with a check-in luggage you can bring all three. 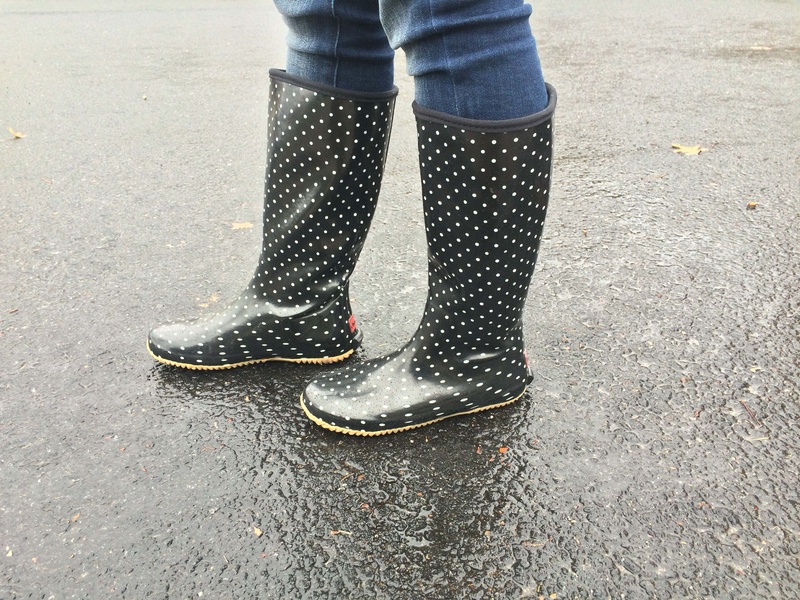 Travelers who prefer to travel light should just bring the raincoat or the umbrella, not the rain boots. You can wear a waterproof walking shoes instead. 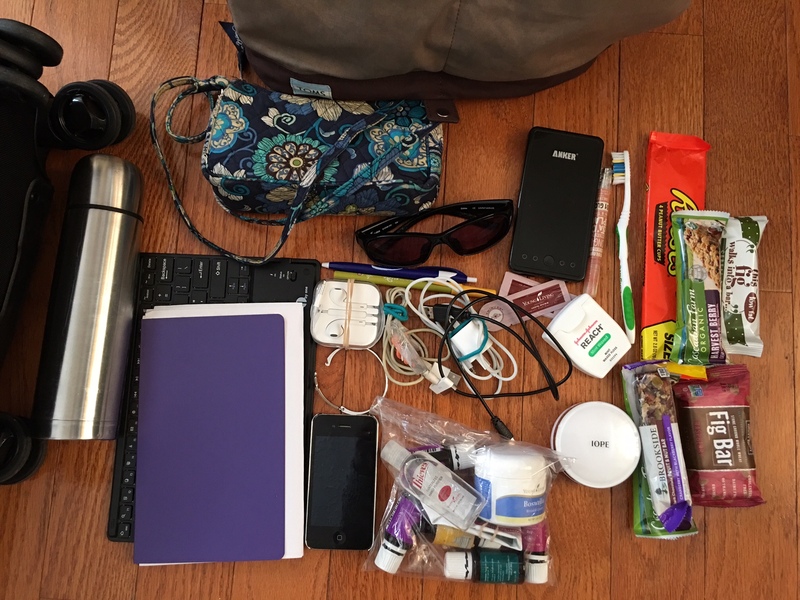 These are the things in my luggage which I am bringing to London and Yorkshire with a side trip to Stuttgart for 3 weeks. I would probably be purchasing one blouse/t-shirt and a scarf while visiting both countries. Bear in mind about the carry-on luggage dimension when traveling to multiple countries with multiple airlines. I am flying with Delta, British Airways and Virgin Atlantic. Delta and Virgin Atlantic are partner airlines, meaning the carry-on dimension is the same. For dimensions please use the table on this page. What are your thoughts? 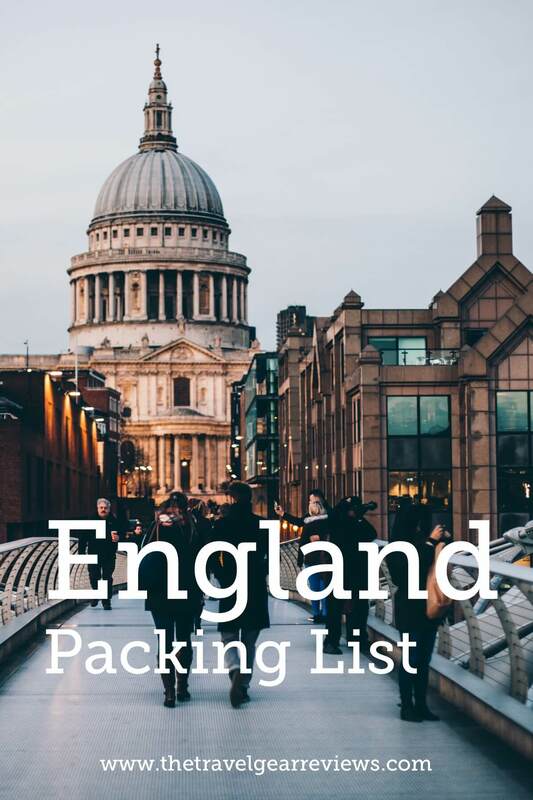 Let us know what is in your luggage when traveling to England in spring.